On the fundamental level, you are basically a mixture of 2 elements: energy and consciousness. These 2 elements are products of each other always creating more complex structures, organisms and movements. Together they create matter. In order for the electrons of an atom to get excited you need light. That’s how we get heat. Light is actually the essential element that produces energy. As you probably know, not all light is visible. In fact, only 0.0035% of the light in The Universe is visible, which tells us that it’s misleading, even ridiculous, to think of light as something you can see. Light is a substance that creates energy. 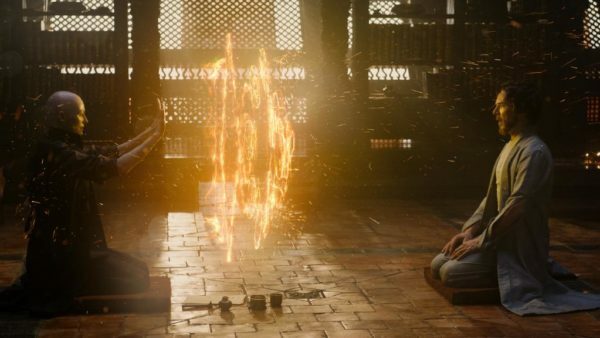 There is a saying in the movie “Doctor Strange” that goes: “We harness energy and shape reality” and exactly this sentence is the key of understanding the science behind the ‘magic’ the characters use. Let me explain! Theoretically, if we emit light and light can move objects, we can move objects with our light, if we can consciously direct it at an object. But that’s not all! Light doesn’t only move objects, but it can also create objects! Yes, Harvard Professor of Physics Mikhail Lukin and MIT Professor of Physics Vladan Vuletic have managed to coax photons into binding together to form molecules. They created a state of matter that, until recently, had been purely theoretical. Scientists agree that in the future we’ll be able to create objects wholly from light photons. We can create complex 3D structures, such as crystals, wholly out of light. 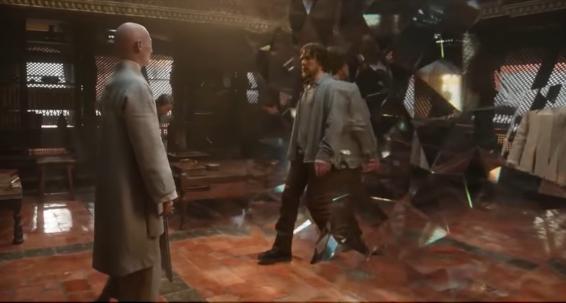 If we can produce light, and if light can impact objects, move them, even create 3D crystal structures or light sabers, than the first part of the movie “Doctor Strange” is officially, theoretically, completely possible! All that’s left is to solve what does “…and shape reality” means. Now you have to note that these 2 words are chosen REALLY carefully by the producers: ‘shape reality’! They do not say ‘create reality’ or ‘change reality’ but specifically say shape reality. In order to understand what this means we have to understand something else. Have you ever been at a magic show? When you see the magician do the trick you have completely different perception of reality than the magician. The truth is, we all do. Each and every single one of us has a slightly different perception of reality than the other. The main factors that determine what kind of reality you’ll have are: information, beliefs, memories, senses, focus, emotions. In other words, your mind is what perceives reality and we all have a different structure of our mind. Our mind creates a virtual reality of the real reality! We perceive a tiny amount of the real reality through our senses. Like we said, we can only see 0.0035% of light, we can only hear from 20 to 20,000 Hz, touch, smell and taste fill out the other dimensions of reality. Everything you observe is an illusion! Color does not exist, different frequencies of light exist. Imagine if you had a different organ to sense the frequency of light and instead of colors, you perceive the different frequencies as feelings. Reality would be A LOT different for you. ART would be a lot different. And this is not just with light, but sound, touch… everything is a representation of your brain from what seems to be the world. Without someone to perceive color there wouldn’t be color. It makes you think of how many potential substances (like color) will remain undiscovered just because there are no senses in The Universe to perceive them. The real reality is like the sky. It’s filled with clouds from which we perceive different images, forms and objects to shape our own reality. Therefore, to be able to shape reality you’ll have to be able to manipulate with someone’s consciousness. You’ll have to be able to influence someone’s mind, just like a magician is influencing your mind when they are doing a magic trick. And if you can ‘harness energy and shape reality’ than EVERYTHING that we see in the movie “Doctor Strange” is theoretically, very possible!